Had the public lands in Southwest Oregon (Klondike Fire) and Clear Lake/Mendocino (Ranch Fire and Mendocino Complex) been managed for something more than recreation and a windfall for the industrial wildfire complex, the “big boys” would not have an easy out. I made a cold call on one of the major anti-logging organizations; it went well and “cooperation” was used more than once. I’ve also been rudely asked to leave an anti-logging presentation when some of my questions made the presenter uncomfortable and quite upset. Changes are coming, but it is going to be difficult to correct the errors litigated into forest management. The Gorge Fire last year was merely a taste of what is coming to a public forest near you. If you live outside an urban growth boundary, I would suggest reading “Megafire: The Race to Extinguish a Deadly Epidemic of Flame” by Michael Kodas; it is required reading in the OSU School of Forestry. Imagine the horror of the grandparent along with two grandchildren trapped in the Carr Fire. Their deaths rest solely on the shoulders of the anti-logging movement and a weak U.S. Forest Service bowing to environmental organizations’ threat of lawsuits. As a grandparent, I get emotional every time it comes to mind — the anti-logging group’s “they should not have been living there” sounds harsh, at a minimum. Sure, people have moved into the urban/wildland interface. I am curious when it is Bull Run’s turn, if lives will be lost — PDX will need to get used to smoke-tainted drinking water. 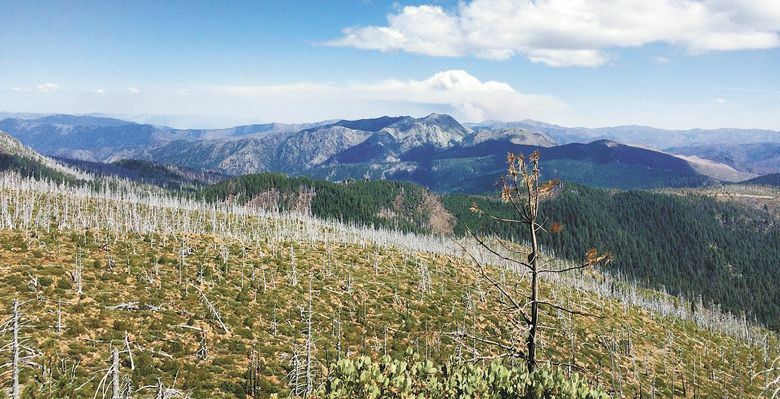 In Southwest Oregon, the Klondike Fire re-burned areas devastated (old-growth forest) three times in the last 20 years. It is time to shelve the pipe dream of untouched pristine forest and work together to let the future hold something other than a charred landscape. Unless we want our vineyards to be firebreaks, as they were in California, the industry needs to embrace the reality of the modern forest. 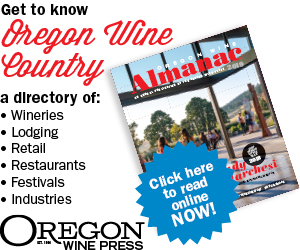 Man can outperform Mother Nature — or we would be making wine from the original Oregon Grape — by putting people to work fireproofing the forest. Southwest Oregon is an excellent place to start.